We're excited to announce the launch of our first Wallet SDK for Android. This new library makes pass distribution a native app experience, eliminating the need to send users to an external URL. The lightweight Android Wallet SDK bridges Android Pay and Airship Wallet services, allowing you to perform all pass-creation actions, e.g., setting personalized fields or saving a pass within your app. 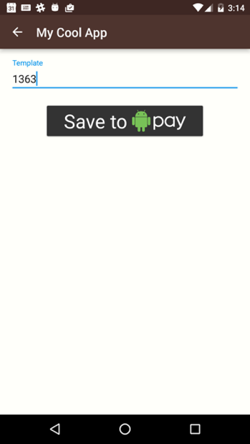 The Save to Android Pay button is created once all of the pass information is sent, allowing users to authenticate with Google and add the pass directly to Android Pay. This update improves the usefulness and accuracy of Automated Messages using tag conditions. In the past, our system would check for the presence or absence of a tag at the time a rule was triggered. This worked well if the desire was to send the message immediately, but for pushes that were scheduled for future delivery, no final check was made prior to delivery of the message. This made certain uses of the feature impossible (or led to unexpected results). For example, if you wanted to send a message if someone added a product to a shopping cart but had not purchased the item within 24 hrs, our automation rule, once triggered, would have no way to determine if the user had made the purchase after 24 hours because it was being checked at trigger time. Now, because we will check the tag condition at send time, we can suppress the message if e.g. the “bought_product_x” tag was present. We now check for tag conditions at send time, improving accuracy for automated messages using both Tag Conditions and Delayed push outcomes. 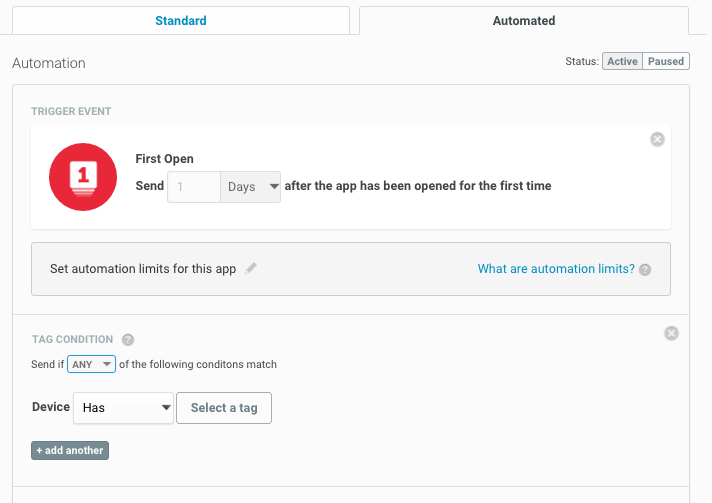 With the new send-time evaluation for Tag Conditions, you can now use First Open event triggers with Tag Conditions. Since a user is unlikely to have any tags associated with their device when they first open your app, that's a pretty bad time to check for the existence of tags to trigger a message, which is why these features did not work together previously.